In a rare form of humility from Square Enix, the video game publisher has backtracked on their decision to charge gamers for Hitman: Absolution‘s online gaming component at the last minute. Online gaming passes are now commonplace amongst the biggest AAA selling games of the year from giants like EA, but Square Enix must have realized that their marquis release of the season doesn’t especially have the name power behind it like Madden, Battlefield or Assassin’s Creed. Americans will receive the online mode automatically in the game’s main menu from the get go, but the rest of the world will have to use a code packed in with the first shipment of the game to unlock it for free. Hitman: Absolution has been met with mostly solid praise so far as a more than adequate attempt to modernize a defunct series. 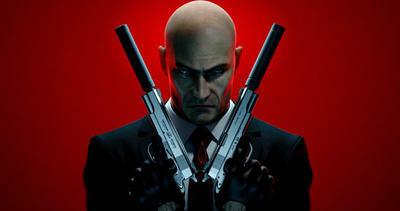 Be sure to check out Agent 47 in his latest outing as the most popular bald headed killer on the market, but just be sure not to make his rebirth too successful. You just know Square Enix is looking for an excuse to slap an extra charge on its product somewhere so it be considered in league with the big boys. Hitman: Absolution is out this week for the PlayStation 3, Xbox 360 and PC.